Food manufacturing facilities have to follow stringent regulations to be able to keep on running their operations. Workplace food safety ensures that the employees and customers are kept safe and the raw materials and finished goods are handled correctly. However, sometimes ensuring clean and hygienic environment is only possible if you acquire commercial cleaning services. If you own a food manufacturing facility and are looking forward to hire commercial cleaning professionals to guarantee complete compliance with the regulatory standards, it is important that you continue reading. In this blog, you will learn how commercial cleaning service can keep the food manufacturing workspace clean. Commercial cleaning professionals keep the immediate workplace clean. The specialized in-house management policies are devised according to the commercial needs of your manufacturing facilities. All the unused materials are stocked safely and the manufacturing area is disinfected. If during production spillage occurs, the spontaneous action is taken to clean the surfaces immediately. In food manufacturing facilities, the equipment and utensils should always be kept in hygienic conditions. 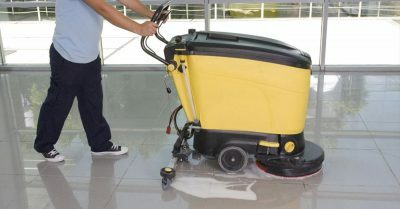 The specialized cleaning professionals know the correct way to sanitize the surface that come in contact with the food. From the tools to utensils to equipment, everything is correctly handled and cleaned with recommended cleaning products. The waste management in the food manufacturing facilities must be done in a hygienic manner. Professional commercial cleaning technicians ascertain that the waste is disposed in correctly labeled bins as per your company’s policy. Workplace, personal and environmental hygiene can only be provided if the waste products are managed effectively. Food manufacturing safety revolves around following the guidelines set by regulatory bodies, such as OSHA. To make sure that your company follows all legal requirements, it is important to work alongside professional who are well-versed about these standards. Skilled technicians are trained and will keep the food safety a top priority as they are aware of the implications. With a dedicated resource for looking after the commercial cleaning of your food manufacturing facility, the employees will work according to a strategic workflow. From the daily cleaning to scheduled routine maintenance, every cleaning job will be done according to a planned regimen. Cross contamination, product contamination, and allergic reactions will be kept in focus when process operations are being conducted. Extra Hands Services have quality control systems for maintain clean rooms inside food packaging and manufacturing facilities. We determine the cleaning requirements of each company and design customized solutions so that all federal and state regulations are met. Our cleaning solutions are specifically developed to achieve the desired levels of sanitization in the manufacturing facilities. If you want to learn more about our commercial cleaning services, then contact us at 816-396-6234.